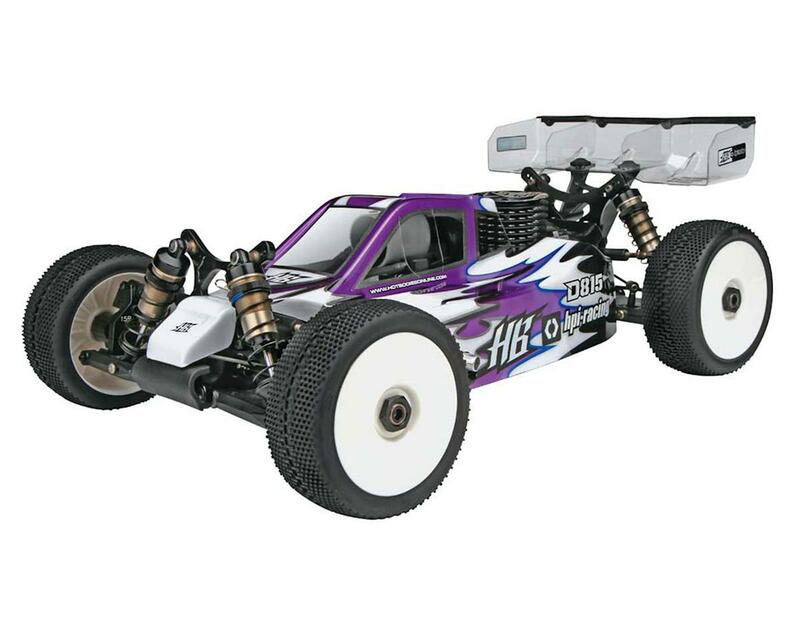 The Hot Bodies D815 V2 1/8 Off Road Competition Buggy Kit adds key features based on extensive testing and racing by the HB Team Drivers and designers. The D815 V2 is faster, more adjustable, and easier to drive. The D815 V2 includes not one, but TWO chassis plates! 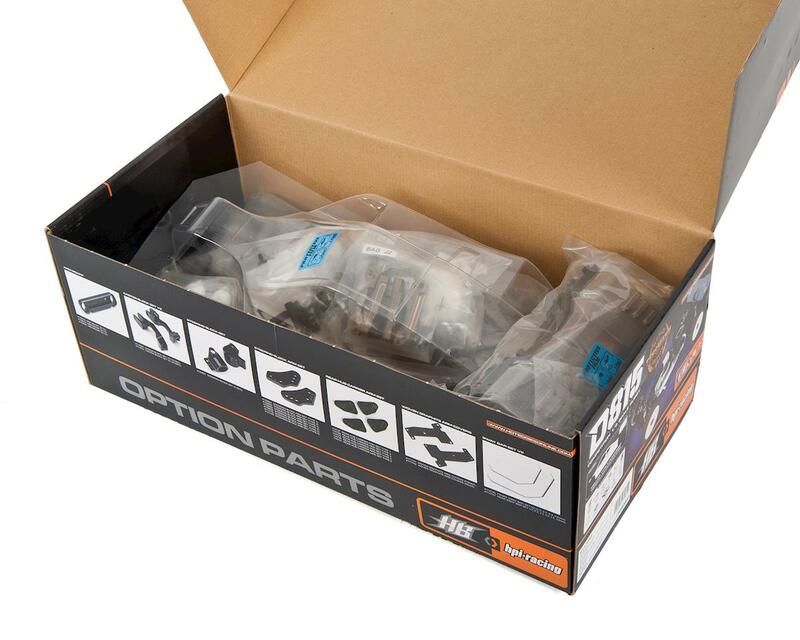 You will receive the standard chassis, as well as an extended chassis in the box. The extended chassis adds 4mm of length to the rear of the car which allows a longer wheelbase (up to the maximum regulation) and shifts the overall center of gravity for more stability, especially on high-speed corners. Ty Tessmann and most of the HB drivers have switched to this longer chassis. An extended rear drive shaft (necessary when using the extended chassis), and the popular high wing mount are also included. And the best part? These option parts have been added without increasing the cost of the kit! 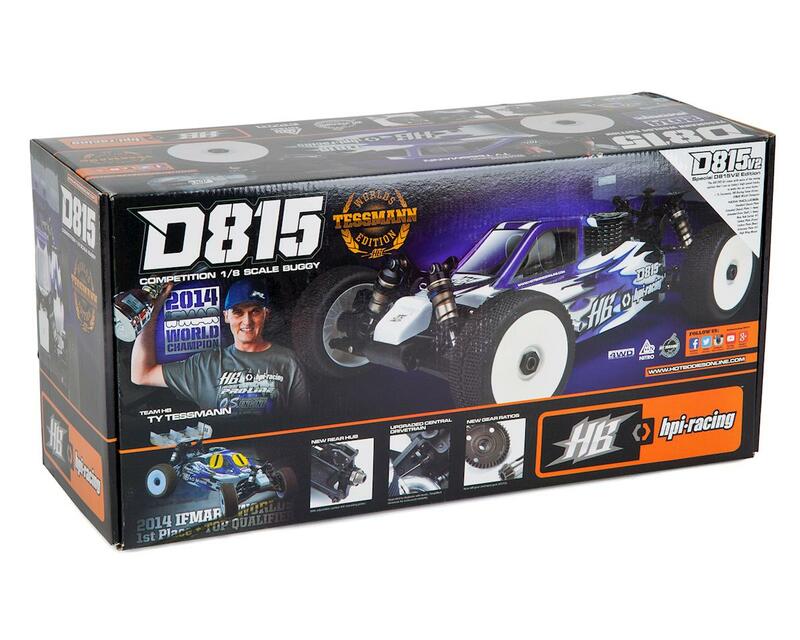 World Champion performance, the D815 V2 from HB Racing is ready to win. Rear Hub carrier #5: From extensive testing our team drivers found that this hub carrier camber link plate provides the best overall rear traction. The camber link position available on the #5 hub carrier plate works in conjunction with other suspension geometry setups that our drivers have developed. Tuning options include: steering blocks, arm blocks, steering arms, rear hub carrier arms, sway bars, shock springs and more. NOTE: Information is limited at this time. Additional information will be added when available.